I walked out onto my balcony today and lent on the green handrail for just a few moments. The wind was cool, but not cold, and there was a sense of calmness in the air. I watch a man across the road sit on his verandah and take off his work boots. I bet he had a long day. There's a pink toy car not too far behind him and I wonder if he's got a daughter waiting for him inside who will scream out "Daddy!" and run up and hug his legs as tight as she can. Her face will be squished up against his knees and her eyes will be closed shut in happiness. His feet will smell, there will be dirt on his hands and oil in his hair but none of that matters. He will pick her up anyway and give her quick kisses all over her face and she'll giggle the most infectious giggle that just makes you smile from ear to ear. A man walks past with his greyhound. Such elegant creatures. It hurts me to know some of them are treated so brutally. I wonder if this man adopted this animal to save it from harm. They're not known for their looks; they're tall and skinny and athletic. Funny how those traits in humans are considered desirable but in a dog not so much. They walk together in unison. The man pats his companion's head so gently and I wonder who benefits more from their relationship. Who saved who? There's a cat on a (I'm going to assume cold) tin roof. He's black. I think he's a he but how could I ever know. He's sitting there minding his own business, unlike me who's arguably being a bit of a creeper right now. I always wonder what cats see. They can climb and burrow and I feel like the world is theirs. They are explorers and to them the next street must feel like a whole new continent. How exciting it must be. I love that although they can venture out and explore, they (generally) will always come home. They can catch birds and mice at their own will if they wanted to so I like to believe home is more to them than just a warm bed and tinned tuna. I wonder where his next adventure will take him. Are people looking at me on this balcony? Probably not. I tend to people watch far too often than one person ought. I wonder though if I were walking on the street and looked up at me standing on this balcony, what story I would conjure up about myself. Maybe I would think she's a lonely girl waiting for something she doesn't yet know is coming. Or maybe I'd think she was taking a break from playing her guitar and finding peace in the outdoors. Her boyfriend went out on a coffee run and she is left on the balcony tossing up lyrics and melodies in her mind. She taps along the hand rail but she can't quite seem to get the rhythm right; much like life really. There are so many possibilities and different paths the story could take. 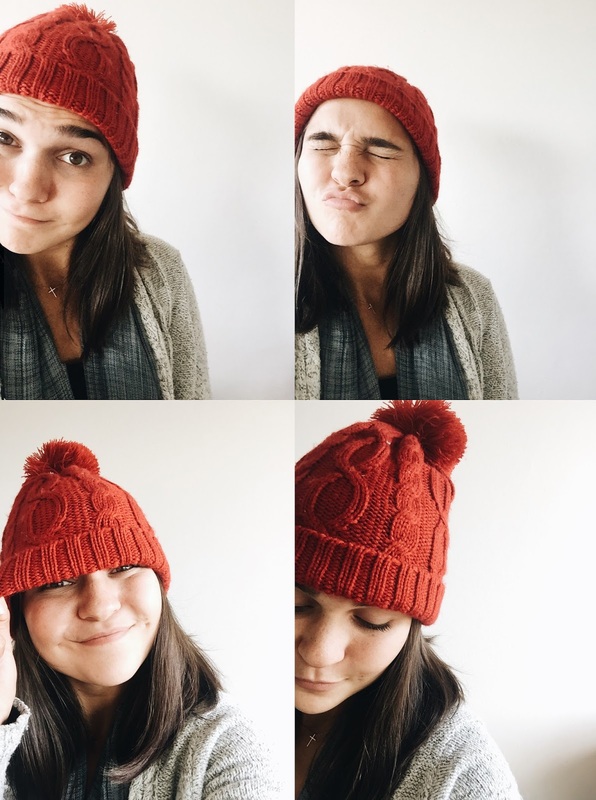 Truth is though, I am just a funny ole' gal who spent a lot of today taking selfies wearing my red beanie which I forgot I had. Now who would have guessed that? Shop prom dresses two piece and gowns for your prom or pageant at Promdresshut.com. Two-piece homecoming party dresses and 2-piece cocktail party dresses.